Vegetation and Dirt: For starters, trim back any vegetation, vines, or weeds that may be taking over your fence and be sure to remove any soil that may have built up around the base of your fence. When excess vegetation, debris, and soil come into contact with your wood fence, they bring with them moisture, termites, and eventual fence rot. Trim Overhanging Branches: Are there any tree branches hanging over your fence? If so, trim them back. Falling branches can cause harm to your fence. Visual Inspections: Look for any obvious signs of rot or warping and replace damaged sections of fence as needed. Power Washing: Power washing may be needed from time to time in order to remove excess dirt or stains. But be careful. Power washers are powerful and can damage your wood fence if you are not careful. 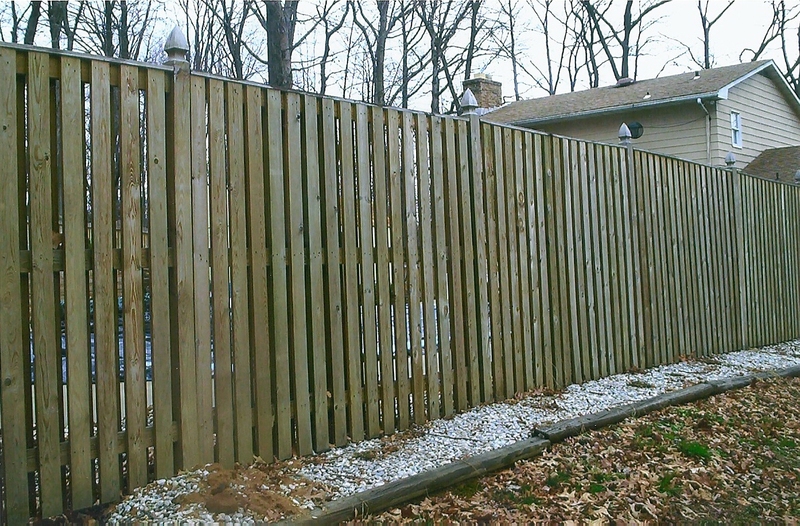 Staining or Painting: Time to protect your fence from Mother Nature with a fresh coat of stain or paint. Check Latches and Hinges: Make sure your fence closes and latches properly. Trust the Fence Experts at Freedom Fence and Home! With 40 years of experience, Freedom Fence and Home has provided the highest quality fence and decking materials to its many residential and commercial clients throughout in Baltimore, Maryland and Harford county as well many residential clients in Baltimore county and Baltimore city. This entry was posted on Tuesday, July 17th, 2012	at 9:10 pm	. Both comments and pings are currently closed.